The Schoffel Ptarmigan Superlight Shooting Coat is a super lightweight insulated GORE-TEX® shooting coat using innovative Meryl® outer fabric. Designed for all season wear, featuring a double layer laminate that delivers warmth and comfort without adding weight or bulk. The Ptarmigan Superlight is also waterproof, windproof, breathable and machine washable. The Schoffel Ptarmigan Superlight Shooting Coat is a super lightweight insulated GORE-TEX® shooting coat using innovative Meryl® outer fabric. Designed for all season wear, featuring a double layer laminate that delivers warmth and comfort without adding weight or bulk. The Ptarmigan Superlight is also waterproof, windproof, breathable and machine washable. Large bellow cartridge pockets with drainage holes and inner security pockets are a few of the useful features of the Ptarmigan which make it the perfect coat for wearing out on the field. 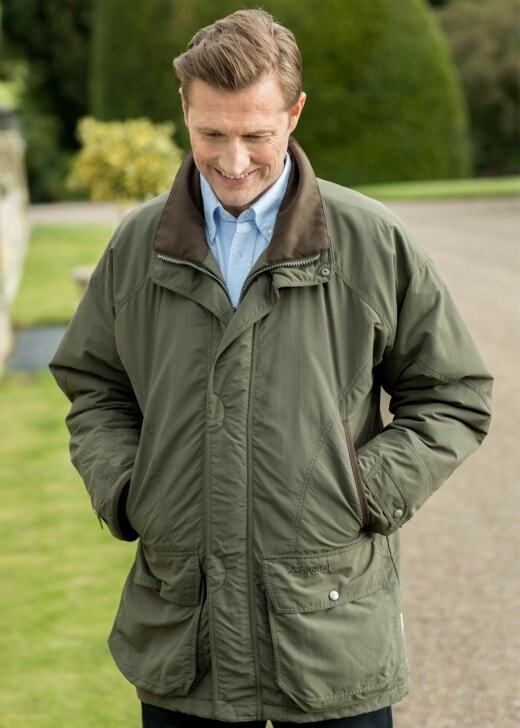 Showing our 2 Schoffel Ptarmigan Superlight Coat reviews with an average rating of Excellent. expensive but superb coat,you only get what you pay for.